Ulrike is interested in recovery mechanism of function after neurological insult. Her research investigates the effect of training not only on the control of movement but also on cortico-spinal connectivity. 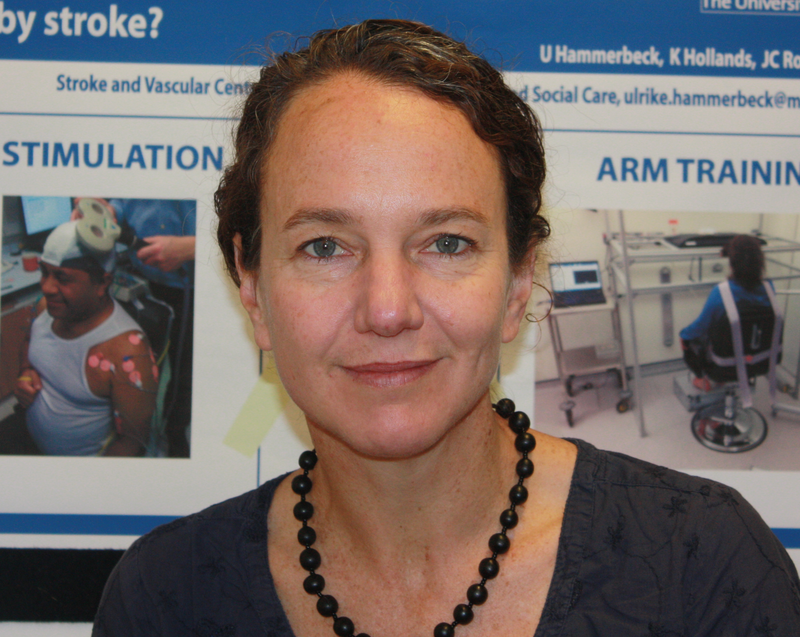 Ulrike completed her PhD investigating learning mechanisms in chronic stroke survivors at the Institute of Neurology, University College London under Prof. John Rothwell, in 2015. She has since been awarded a Stroke Association post-doctoral fellowship in which she will investigate proximal arm recovery processes in the acute period after stroke. Can Early, High Repetition Arm Training Early After Stroke Encourage New Connections from the Brain Side Not Affected by Stroke? Stroke patients say they feel 'abandoned'.